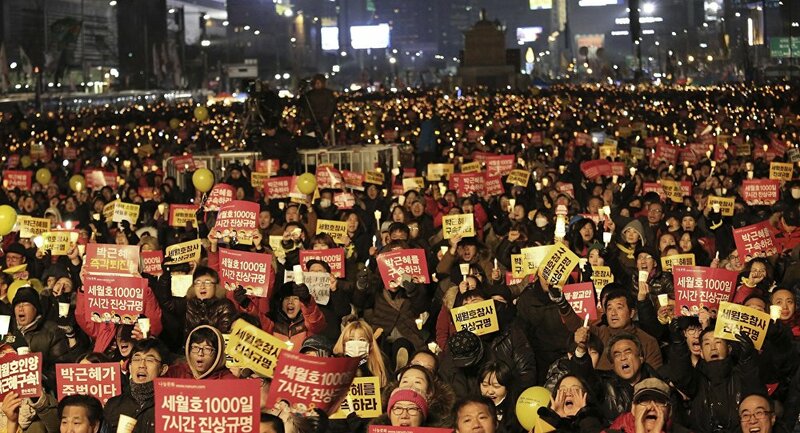 Hundreds of thousands of South Korean citizens took to the streets on Saturday to demand the resignation of impeached President Park Geun-hye, local media reported. MOSCOW (Sputnik) — According to the Yonhap news agency, citing organizers about 600,000 people gathered in central Seoul for the 11th consecutive Saturday rally since October 29 to protest against the president. The police put the number at 24,000. Similar protests were also held in several other cities. The South Korean parliament voted to impeach the president on December 9 in the wake of an influence-peddling scandal involving Park's "shadow adviser" Choi Soon-sil. 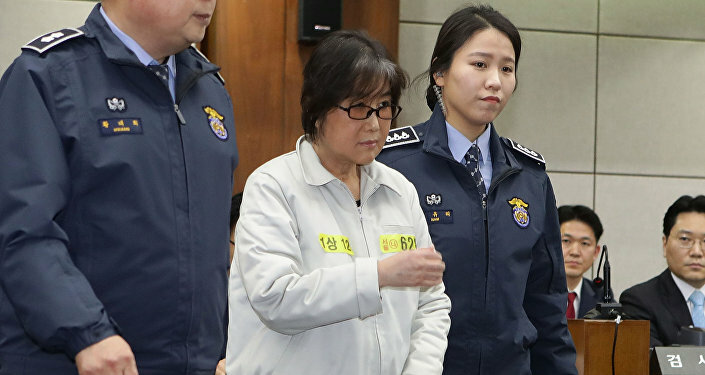 Choi, who does not hold any official posts in the government or the president's administration, was accused of abuse of power after it was revealed she edited the president's speeches. Choi denied the allegations. The Constitutional Court has now six months to decide upon the validity of the parliament's impeachment of Park. If the impeachment is recognized as valid, presidential elections should be called within two months.